JCB Players and Families Have Fun at Jax Icemen Game!!! JCB Night at the Jacksonville Icemen game was a great event!!! JCB players, parents, siblings, and friends attended the hard-hitting hockey game and helped raise funds for the JCB 12U Cobras. While the final score was not a W, the Jax Icemen did flex their muscles by mixing it up with the Stingrays after the final buzzer. 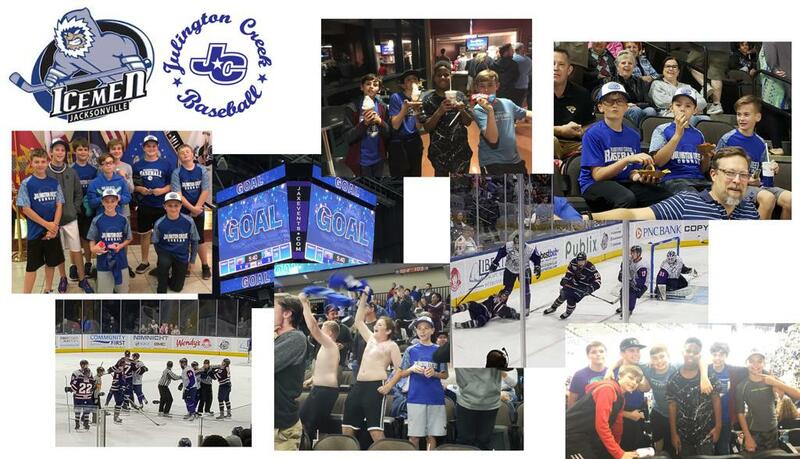 The families of the JCB Cobras want to thank everyone who attended and the Jacksonville Icemen for their support!!! We hope everyone had a great time!!! We sure did!!! !